Being a lightworker, channel, and spiritual teacher for many years, I sensed an urge to dive deeper- to the next energetic threshold- to explore more mystery, re-awaken what remained hidden, and to step fully into the next phase of my soul’s journey. I longed to work more intimately with Mother Earth energies and there was so much I wanted to learn. The Elemental Forces of Creation— earth, water, air, and fire- are powerful energies comprising the earth’s matrix. These forces are humanity’s life support; sacred indeed! Working in tandem with Earth’s elements is to align with powerful energies of clearing, healing, and balancing. 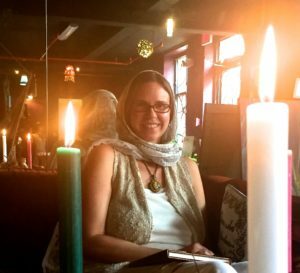 As a priestess, I learned key aspects of how to co-create with the natural forces of the Divine with ease and grace, in sacred abundance and love. Ceremony is the bridge that connects spirit with matter, So, too, does a Priestess. 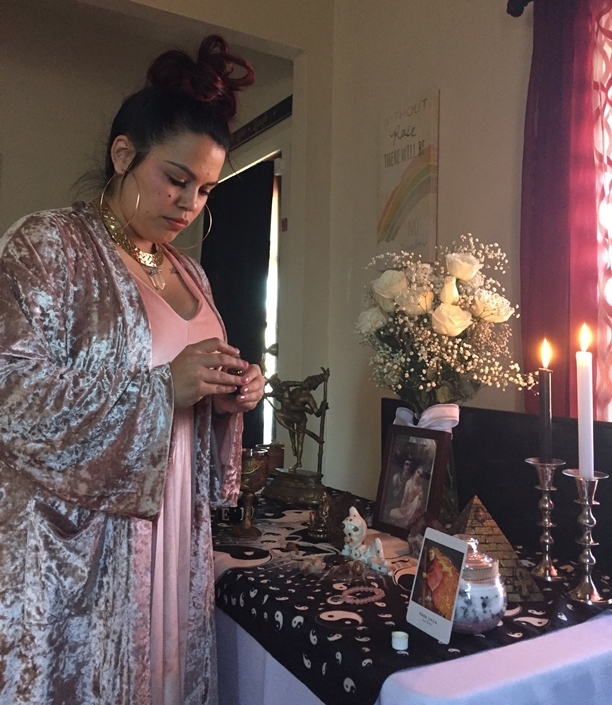 Ceremony inspires connection, reverence, community, unity. I always feel intense power invoked in ceremony and feel called to keep the flame of ritual burning brightly and alive in our culture, especially for the children. And so I studied, released, realigned rebirthed and celebrated my Self and emerged as an Alchemical Creational Priestess. I experienced expansion and empowerment; boundaries and forgiveness; discernment and higher perception; abundance, self-nurturing. I birthed a new version of myself. I surrendered even more to love– embracing a heart-centered life and creating in tandem with Gaia, my ancestors, and star brothers and sisters. What expansion and celebration! Freeing and life changing! If I were to distill my experience with The Priestess Process into a few words, that is what they would be. However, it has been much more than that. I have embarked on the journey of my soul, working through self-limiting, old programming and learning to love my whole self and to embrace my life boldly. With Linda’s love and guidance, in addition to the sacred bond I have formed with my Priestess Sisters, I have learned how to bring more magic, sacredness, and joy into my life. This has truly been the most transformative and liberating experience of my life. 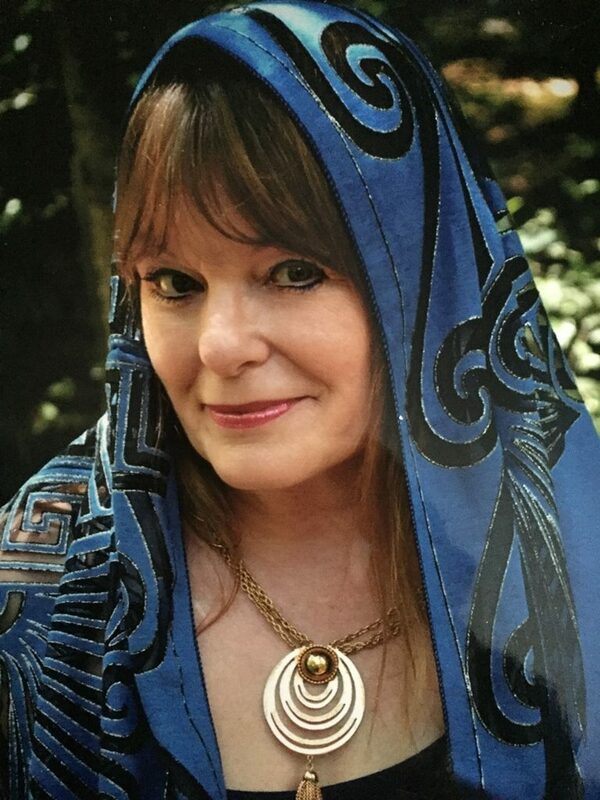 Now I am fulfilling my purpose, as a High Priestess, to birth my Mystery School as I create my first Priestess Circle to share the wisdom, spiritual gifts, and powerful transmission of ancestral and cosmic energies. I am honored to serve as a bridge for multi-dimensional frequencies and a way shower for those drawn to The Call to Priestess: Awaken the Goddess Within. The Call to Priestess compels you to join in sacred circle with like-minded women who lovingly hold space for one another’s growth and process, and who honor, envision, and embrace each other as sacred feminine vessels of the Divine. A circle of women is empowering in and of itself; becoming a priestess amidst the hand and heart holding of spiritual sisters is a deep exploration into the next level of your soul’s purpose in remarkably safe space; a cozy home for the next part of your journey. My Priestess Circle will be no more than 8-10 women working together and individually for nine months to emerge as priestesses at the end of May 2018. Our initial gathering will be on Saturday, Sept. 16, 2017. We will also be in live ceremony a minimum of 4 times during the process and connect via webinar in between. One of our gatherings will be an overnight retreat, details of which are forthcoming. A $500 down payment is required to save your space in circle. Monthly payments available as well as a discount provided, if you decide to pay in full at the start. All of these details and more will be discussed when we connect. 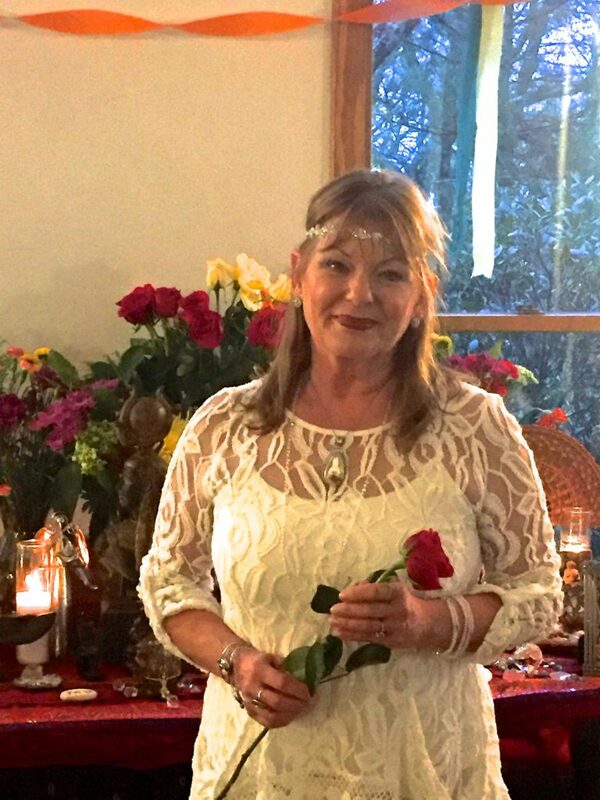 If you live in or would travel to Charlotte for our in-person ceremonies and are willing and able to commit to this amazing process, please complete the Priestess Application. This is an inquiry only, not a contract. I will personally contact women accepted into the program. The Priestess Process has completely changed my life in many different aspects. I “happened” on Linda on accident really. I never intended or was planning to do anything with Priestess. If I’m being completely honest, I did not even know what this process would entail. But I followed the signs, and I found myself in the informational class about the program. As I listened to Linda speak, I just kept being told over and over in my head, “Yes, Yes, Yes, this is for you. You found where you are supposed to be.” I went up afterwards, Linda embraced me with a tight hug, and I knew I’d do what I needed to make it work. Maybe money is a barrier stopping you from embarking on this journey. I ended up making exactly what I needed with an internship starting in the Fall. I was already doing the internship and had forgotten I was getting paid. It was the exact amount I’d need. If you feel the calling, take it; Mama Universe will conspire with you to make it happen. The moment I said yes, I knew there were big changes in my life underway. The first time I met my Sisters in this Priestess Process was one of those moments that is simply to good to be to true. That’s another thing I learned, life is not supposed to be hard. Things should be easy and joyful. If they are not, it is time to examine what is keeping you in those lower energy feelings. I met these women for the first time, and I felt like I had come home. I knew in my heart this was not my first meeting with these powerful, beautiful, strong women. 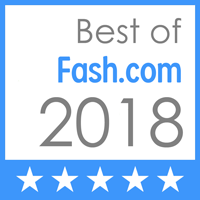 Within the first hour, we all had shared some of our most personal history, stuff you don’t generally share, and when you do you have vetted that person to make sure they can handle what you are about to say. There was none of that, just pure love and listening in our circle. So that started this 9-month process, and I am so thankful every day that I took the risk. I have explored depths of me that I locked away. I have released past hurts and given forgiveness that I had too long held on to. I have examined my inner beliefs with religion and spirit and seen how that shaped my views I have today. I surrounded myself with a tribe of women who are quick to offer a hug rather than sharp words. I have looked at how I view money and seen how it connected to my feelings of worth. This program has given me so many tools that if I named, we would be reading a novel. The most important thing I can say about Priestess is it gave me my power back. Well, my power was never missing, but my life experiences had me lock it away. That is no more. I stand in my power, and I am ready to help others see their power too. Priestess held up a mirror and showed me my Priestess oversight, and once you have seen her you cannot go back. The person holding up this constant mirror is Linda. She has been there, teaching, cheering, and encouraging us all along the way. I feel her energy with me all the time. Linda not only has taught me Priestess, but also more sparkles is better and affection is key. She is my true-life fairy godmother, and the exact love I needed. I will spend lifetimes reuniting with her to learn from her, and I imagine, each time I’ll be just as in awe.